Have you sat down in your living room to catch up on some TV and heard a scurrying sound coming from your kitchen? You walk in and notice a small mouse running across your kitchen floor! ACKKK! You frantically search through your kitchen cabinets and find small droppings that indicate you may be dealing with a mouse infestation. Luckily, you’ve stumbled onto the website of the best mice exterminators in Minneapolis, Minnesota Wild Animal Management. Do not wait and allow these rodents to mate, urinate and poop in your home any longer…and mate twice a year in early spring just before it worms up and just after it gets cold. Below are just a few of the most common signs that you may need an exterminator to take care of your mice problem. Droppings – Rodent droppings are one of the most common signs that you have a mouse problem. Mouse droppings are typically less than ¼ inch and are pointed on both ends. Rat droppings are much larger, typically at least ½ inch. Gnawed Holes – Look for small holes in sheetrock, that are roughly the size of a dime close to where you’ve seen signs of mice. Odor of Urine – Mice urine can have a musky odor. The larger the mice infestation, the more prevalent the smell. Scampering Noises – Mice will often make scratching noises in the evenings because they’re nocturnal. Rodent Runways – Rodents typically use pathways that go along interior walls, electrical wires, pipes, conduits, and building foundations. You can often see urine or droppings along these pathways where the fur of the mice leaves a residue. If you neglect to deal with a mouse problem, you can be in for some serious trouble. 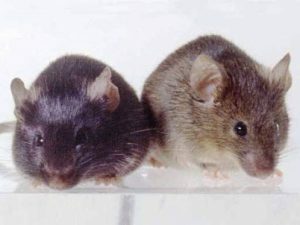 Mice reproduce extremely quickly so even if you catch 1 or 2 mice in traps, you may not be taking care of all the mice in and around your home. It’s best to contact a mice exterminator in Minneapolis at the first sign of mice. At Minnesota Wild Animal Management, we’ll do our best to take care of your mice problem once and for all. We have decades of experience in the pest control industry and are confident that we can handle any mice infestation, big or small. For more information on our services as a top mice exterminator in Minneapolis, feel free to give us a call today at 763-785-1414 or reach out to us via email through our online contact form.